Patrice Lefebvre lives in Ottawa, Ontario, with her husband and their adopted (and slightly spoiled) fuzzers, Penny and Kimchi. 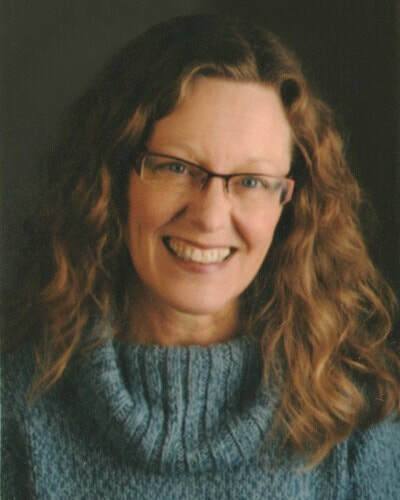 In addition to helping adults and youth improve their communication skills, she presents workshops and provides happiness and fulfillment coaching based on Mike Dooley’s program and book, Infinite Possibilities. Her greatest joy (second only to living with the love of her life) is empowering others to say “YES!” and supporting them as they create the lives of their dreams. An inspirational true story of powerful love, perseverance, and starting over. When fifty-year-old Patrice unexpectedly meets her soul mate in an online blues club, her world tilts toward an uncharted, captivating future. Following the pull of her heart, she leaves behind cherished friends, family, and her beloved Pacific Coast to join the love of her life in Eastern Ontario. But staying in Canada proves more difficult than she ever imagined. Is building a new life even possible at her age? How will she find like-minded friends? And ultimately, can she navigate the murky, ever-changing immigration regulations and remain with the man of her dreams?